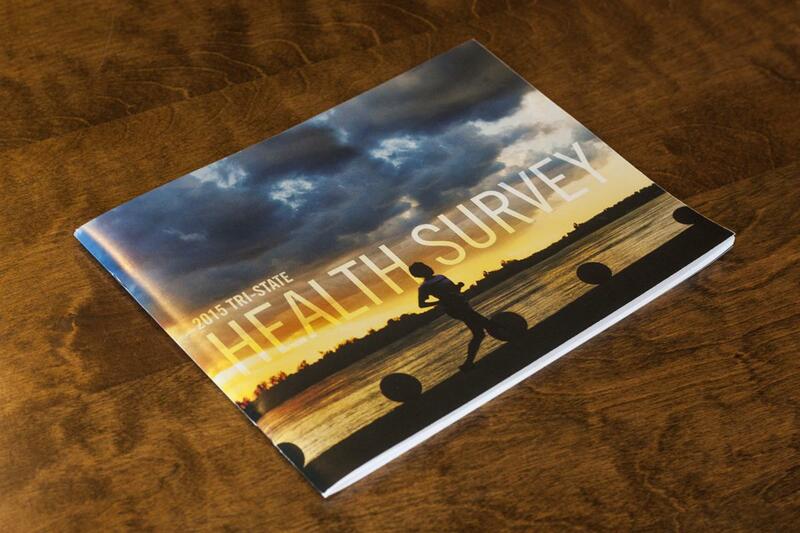 Welborn Baptist Foundation wanted to present data from its 2015 health survey with a printed book, as a resource for other non-profit organizations in the Tri-state area. 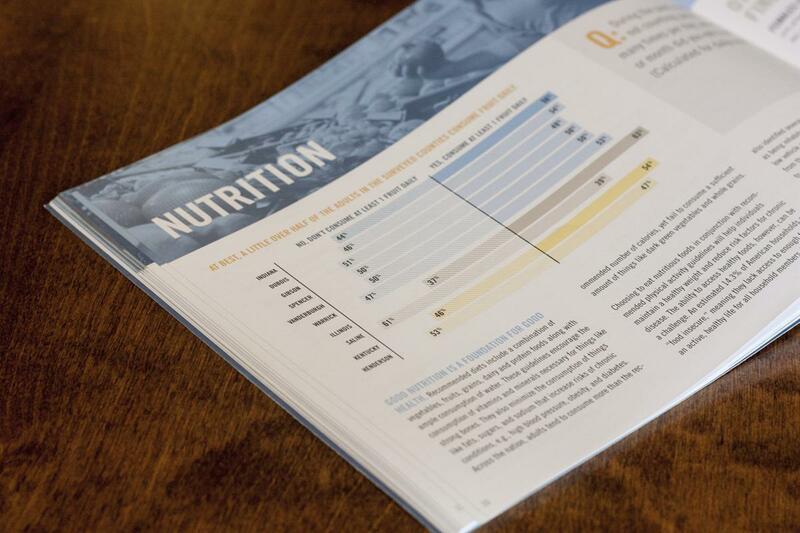 Working with Welborn’s data analyst, we developed a 68-page book marrying nearly 50 charts and hundreds of statistics across 21 categories with iconography, photography and narrative to give an engaging experience to what could otherwise become tedious information. Each category also included an at-a-glance visualization comparing the Tri-state’s relative performance to nationwide data. 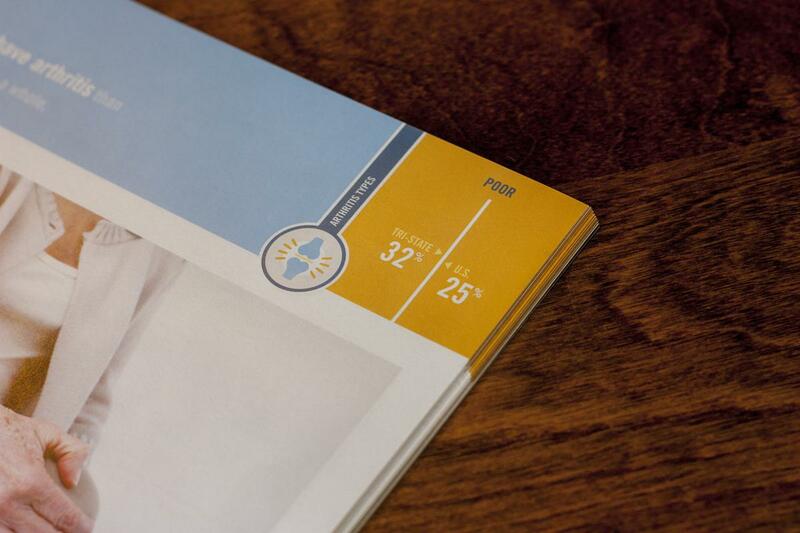 Custom charts are featured heavily throughout the book. 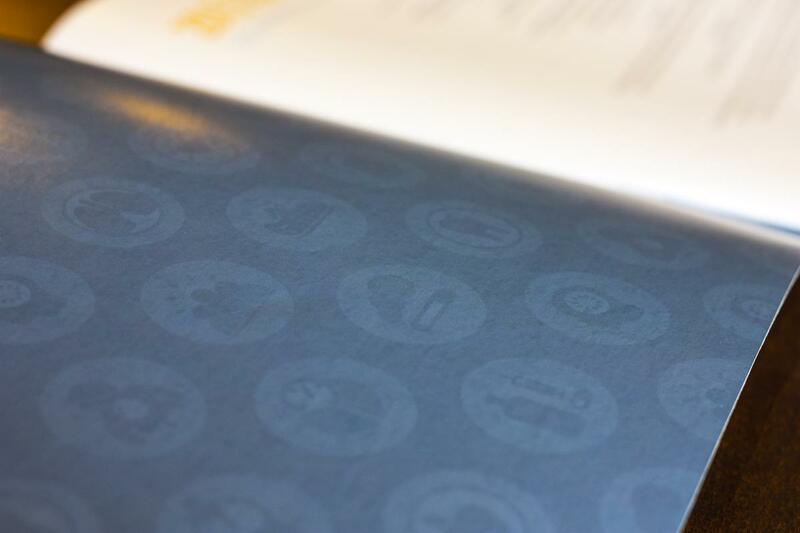 Icons used as a pattern for the inside cover. A chart placed in the top-right corner of each section gives readers a quick at-a-glance summary of the community's performance in each category. 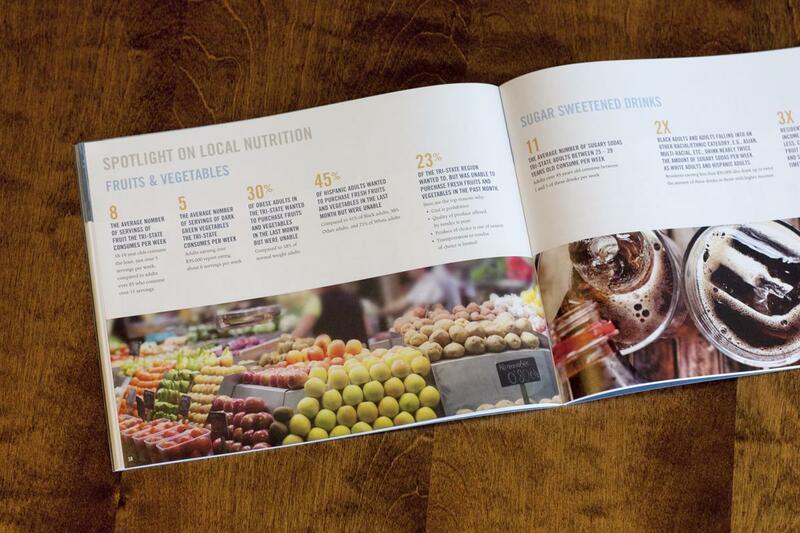 Two-page spread highlighting data on local nutrition. Icons are used throughout the book as category markers.